Cutiepie! 10 Points Get to know your new BFF. Dorks Corner 50 Points Chill out in the funky room! Manly Treasure 50 Points Find the treasure. 50 Points Get all your clothes. 5 Points Support us, or share this satire of social media on social media. 5 Points Obtain the Gun. 5 Points Obtain the Sword. 25 Points Kill 25 Executioners. Halo 5 Points Obtain the Halo. Sinner 10 Points Disobey 10 different commands. Slave 10 Points Obey 10 different commands. Murderer 25 Points Kill 25 Androids. Complete Submission 10 Points Secret Medal: Unlock this medal to view its details! Monster 10 Points Secret Medal: Unlock this medal to view its details! Seduced... Fooled 10 Points Secret Medal: Unlock this medal to view its details! Hope for the Future 25 Points Secret Medal: Unlock this medal to view its details! 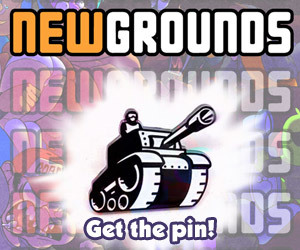 A Friend of Enemies 50 Points Secret Medal: Unlock this medal to view its details! Pacifist 50 Points Secret Medal: Unlock this medal to view its details!